Okay so today I decided to do the Disney World tag! I've seen this a lot on YouTube but as I am sadly not a blogger I decided I would do it on my lovely blog instead. You might not know this but I am serious Disney addict. I'm really surprised that my obsession hasn't made it on to my blog yet so this post is my first step to rectifying this! I've always loved Disney, I've been to Walt Disney World five times in total, I visited Disneyland Paris at least three times as a kid and I follow a number of Disney themed blogs, Twitters, Tumblrs and Instagram accounts just to keep up to date and get my 'fix'. 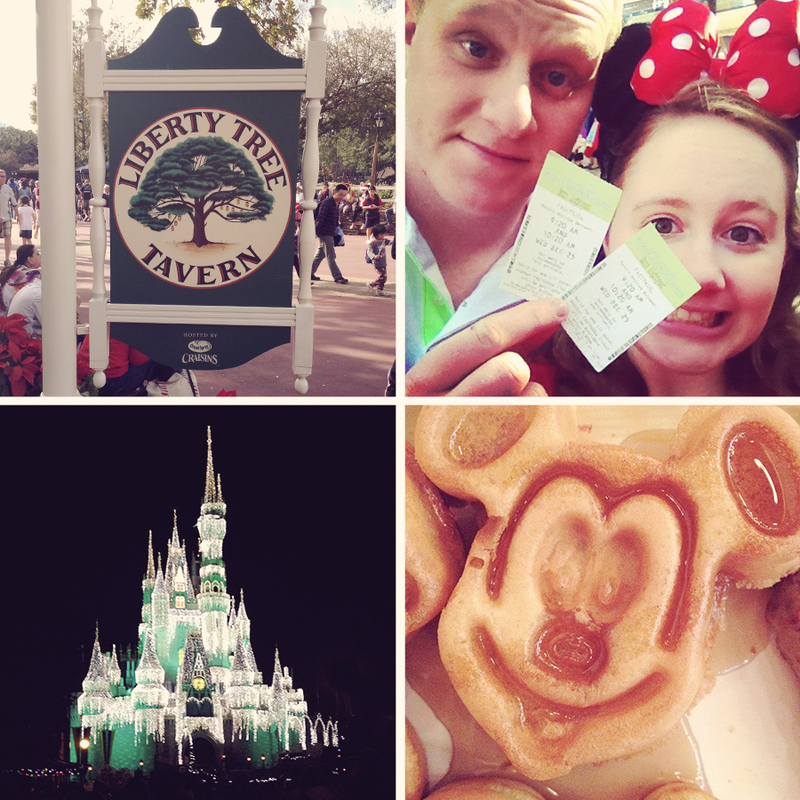 Hopefully by the end of this post you'll know a little bit more about my love for Disney! 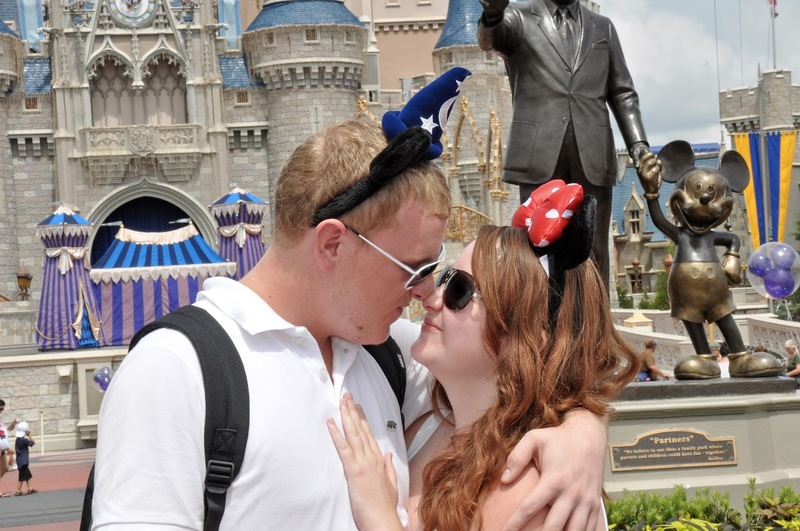 1- First time you went to Disney World? I first went to Disney World when I was 10 in 2002! 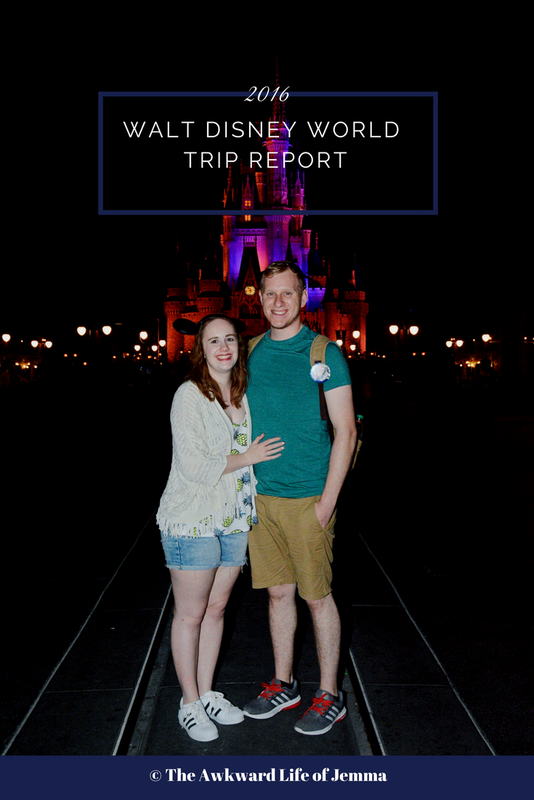 We went for a three week holiday to Florida, spending our first week at the All Star Movies hotel and the next two in a villa in Kissimmee. It was supposed to be a once in a lifetime holiday, which is why we went for so long and we also did almost everything while we were there. Disney, Universal, SeaWorld, we even swam with dolphins and did an airboat ride. This is a really tricky one because they are all so different but I think I am going to have to with Magic Kingdom. I know it's an obvious choice but you just can't beat it for Disney magic and it is the most iconic of all the parks. I absolutely love Main Street, you could leave me there for hours browsing the shops, watching the parades and looking for hidden Mickeys! 3- Favourite land in Magic Kingdom? I'm probably bucking the trend here but I'm going to say Tomorrowland! It is always the first land we go to and all the rides have a special place in my heart (if we can forget that Stitch's Great Escape exists!). I adore Space Mountain it's so much fun, and it took me and Harry by surprise on our first visit together by how good it actually is! Of course Buzz Lightyear Spaceranger Spin is awesome, but for me it's all about the TTA Peoplemover and the classic appeal of the Carousel of Progress. 4- Favourite Disney resort hotel? I've only actually stayed in two, the All Star Movies that I mentioned earlier and I stayed at the Coronardo Springs resort at the end of 2013. 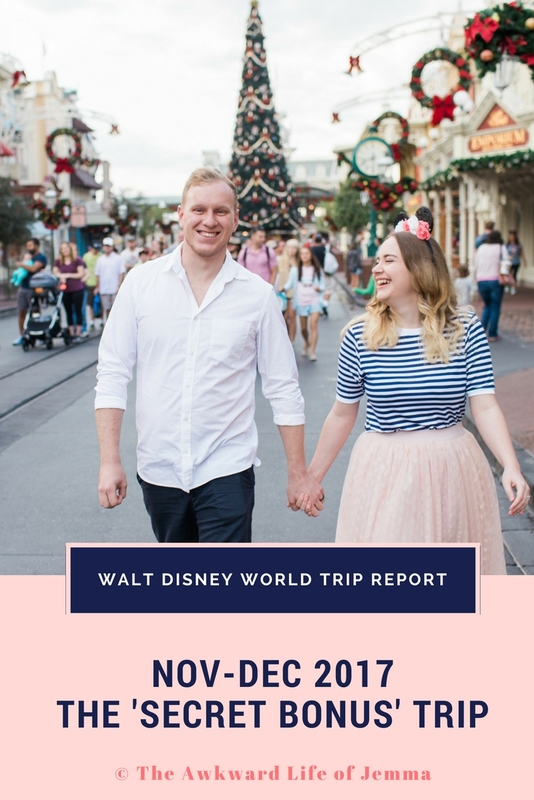 Having said that I did make sure to do lots of resort hopping during our stay over Christmas and I've also done a lot of research so I know a fair amount! My current favourite is the Yachtsman, because I love the nautical theming and it's location is just across from the Boardwalk with its adorable vintage promenade. There are so many Disney snacks to choose from! I've not tried all of them as I don't tend to snack between meals while I'm there as I'm far too busy for that, but I am partial so a soft pretzel. I'm not sure if Mickey waffles count as that is more of a breakfast than a snack but if they do then definitely waffles! I also recommend Minute Maid Frozen Lemonade during the summer months, it doesn't scream Disney but trust you'll thank me when its hot! 6- Favourite table service and counter service? I really need to do a separate post on this as there are so many! Ah I really can't choose! Ok ok I can do this, I'm going with Liberty Tree Tavern for table service purely because we went there for our Christmas dinner/lunch literally on Christmas Day in 2013 and it was amazing. You wouldn't believe you were in a theme park the food was so good, served family style and as much as you can eat! Best Christmas dinner ever (sorry Dad!). For counter service I love Flame Tree Barbecue in Animal Kingdom for their pulled pork rolls and Peco Bill's Tall Tale Inn in Magic Kingdom for the burgers and fixings bar! Ah man these questions are hard! Ok I've already mentioned it but I'm going to say Space Mountain. It just makes me laugh so much zooming around there's nothing quite like it! Honourable mention goes to Rock n Rollercoaster for similar reasons except I'm usually singing along really loudly! I'm not sure that I have a favourite show? If Fantasmic counts then definitely Fantasmic because I love seeing all the characters, the clips from the movies displayed on water screens and of course it stars the Mouse himself! If not then probably the Festival of the Lion King because it's fun to sing along and join in. 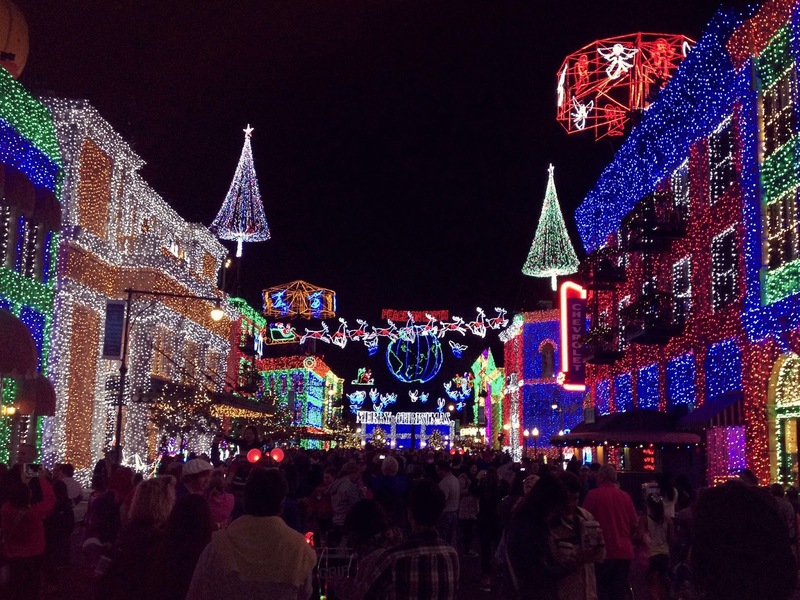 9- Favourite parade or fireworks? It really has to be Wishes but Fantasmic is very close behind. Now I'm older Wishes gets me emotional every time! Just hearing the music, oh my it take me right back to being at Disney. It kinda ruins every other fireworks display for you though, Bonfire night has never been the same! 10- Favourite pavilion in Epcot? I really like Mexico, I always make a point of getting nachos from the counter service (which I realised I failed to mention earlier but DO IT! ), it has a great firework viewing spot, you can meet Donald Duck in his Three Caballeros get up and he has his own boat ride too. I think Mexico is pretty hard to beat but most of the pavilions has something good to offer. 11- What colour is your magic band? My Magic Band is pink, but I wish there were more colours! 12- Favourite character to meet? It has to be Mickey Mouse doesn't it? 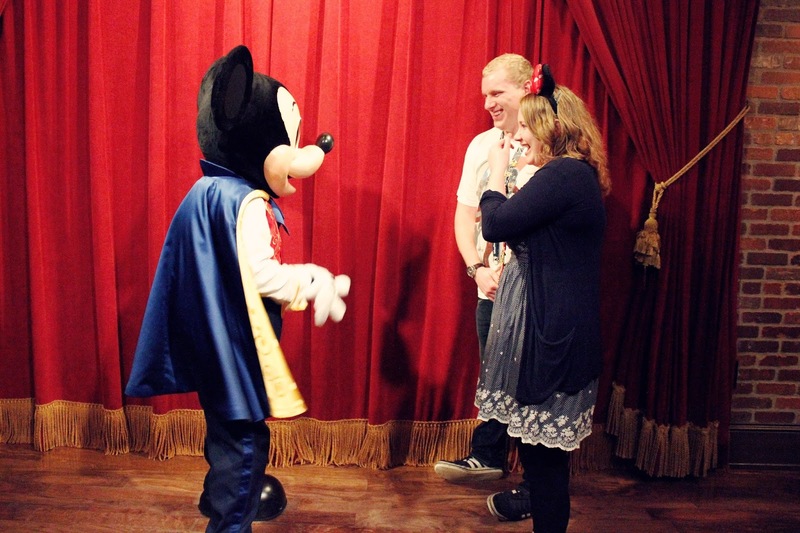 Harry and I were lucky enough to meet talking Mickey on our last trip and it was just amazing. I was nervous at first but once in the room with him (there were a couple of small groups ahead of us) it really put my mind at ease and I was so excited! We now have some very special memories of our conversation with him and it was well worth the FP+! 13- A character you haven't met but really want to? I haven't actually met any face characters! I think I've always though it would be strange because they talk to you but after seeing lots of videos on YouTube of others meeting them I now really want to give it a go! I'm not sure who to start with, I'd love to meet Anna and Elsa but I'm not sure I'll be so lucky! 14- Your best Disney memory? I have so many! Meeting talking Mickey is definitely up there, being at Magic Kingdom on Christmas Day was so cool.. they mostly all merge into one! My best memories in general are just being at Disney, there is nothing else like it. So that rounds up the Disney tag, and Mickey Mouse would say, See Ya Real Soon!